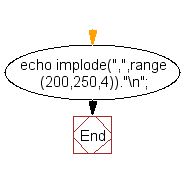 Write a PHP script which displays all the numbers between 200 and 250 that are divisible by 4. Note : Do not use any PHP control statement. 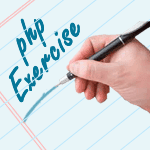 Previous: Write a PHP function to change the specified array's all values to upper or lower case. Next: Write a PHP script to get the shortest/longest string length from an array.